Get ready faster and keep your bathroom cleaner at the same time. 1. 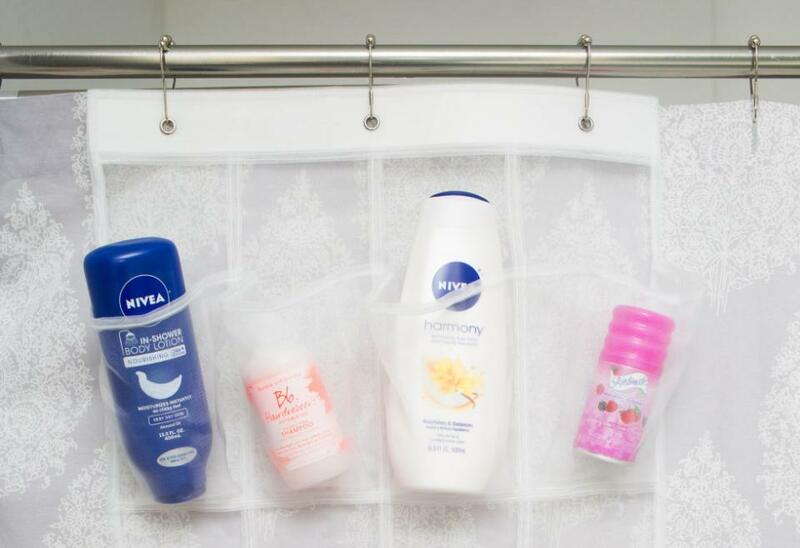 If your shower caddy is too small to hold all your products, install a second tension rod and use hooks to hang everything instead. This will create more room for storage and prevent mildew from gathering around the overflow of products piled in the corners of your shower. 2. 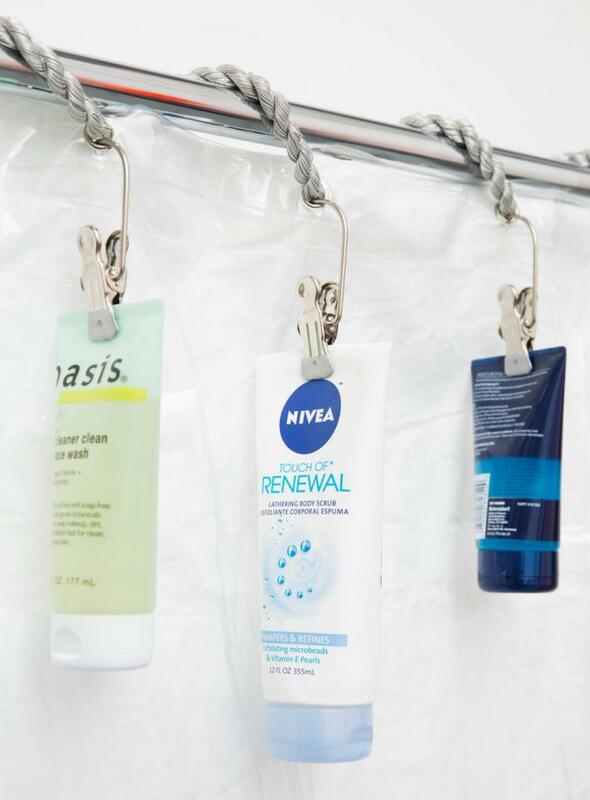 Hang a mesh over-the-door shoe organizer on the inside of your shower curtain to hold your products. 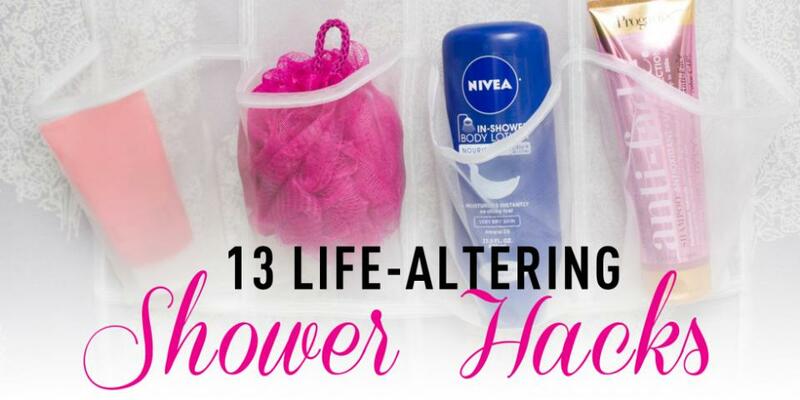 This is a great hack to finally clear the space around your bathtub ledge. 3. Save time getting ready, and moisturize while you're in the shower with an in-shower body lotion. This won't give you that sticky lotion feel, and will leave your skin soft and smooth for more than 24 hours! 4. Use an old wall shelf as a bathtub caddy shelf. 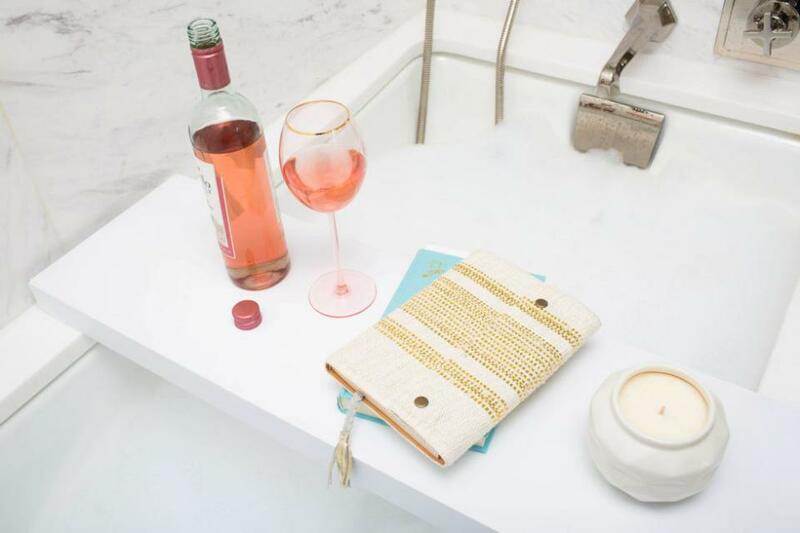 Amp up your bathroom style with this amazing, inexpensive way to unwind at the end of the day. 5. Hang your wrinkled clothing in a super-steamy bathroom for a few minutes to gently straighten out the creases. Multitasking at its finest. 6. Beautify your bathroom by replacing ordinary shower curtain rings with ribbon or decorative rope instead. This is also a good solution if you have a problem with rust on your curtain rings or rod. 7. 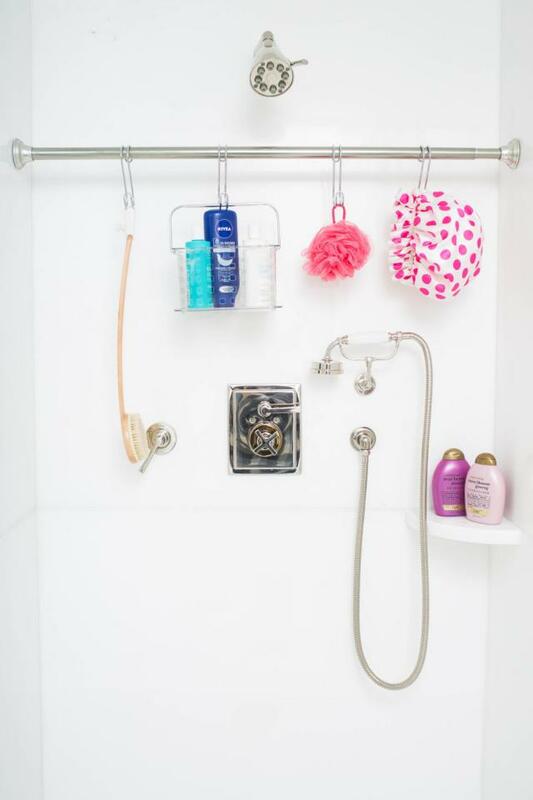 Use curtain clips to hang products at the top of your shower to eliminate mildew and reduce clutter from around the edges of your tub. Because who honestly only has one bottle of shampoo? 8. 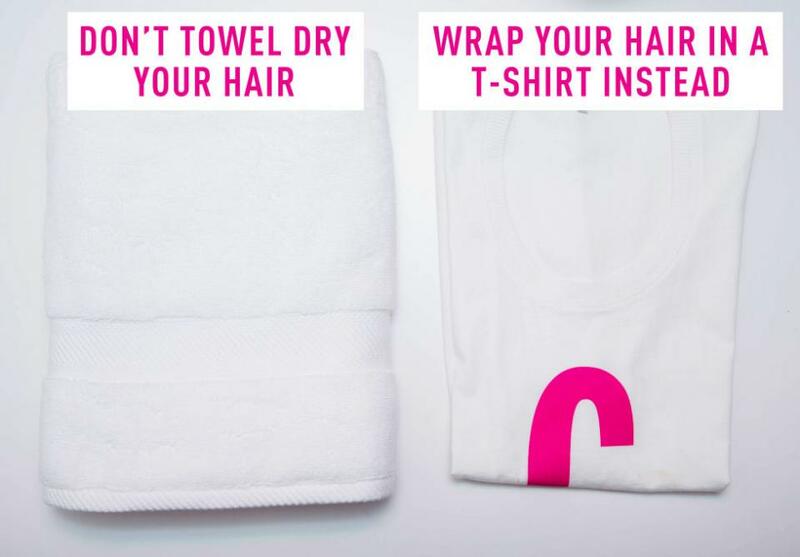 After washing your hair, wring out the water with a T-shirt instead of a towel to prevent tangles and frizz. Unlike a T-shirt, towels will absorb too much water and moisture out of the hair, which causes frizz. 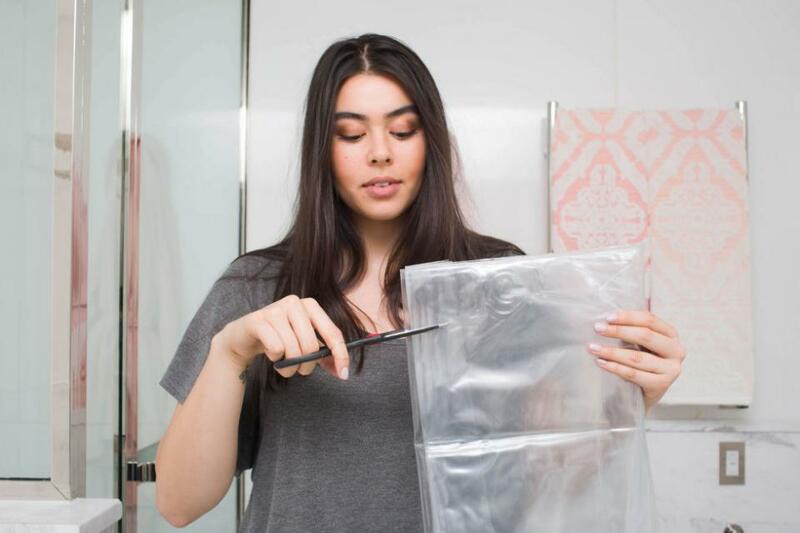 A T-shirt will remove the excess water and leave your hair feeling smooth. 9. Paint the metal rims of shower products with clear nail polish to prevent rust rings on your shower tile. 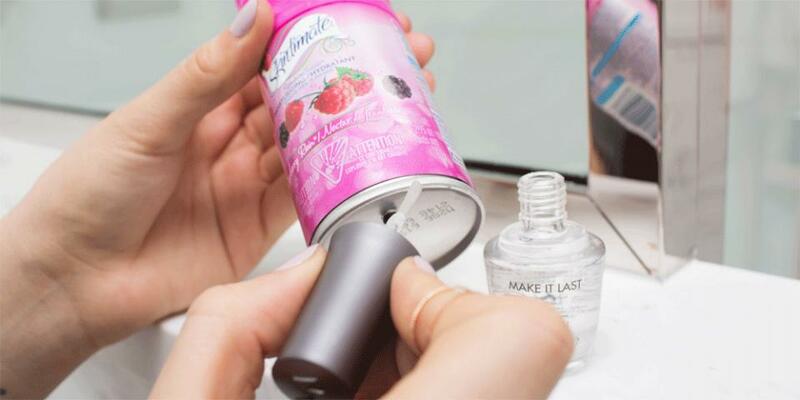 Try this before tossing out your shaving cream. 10. 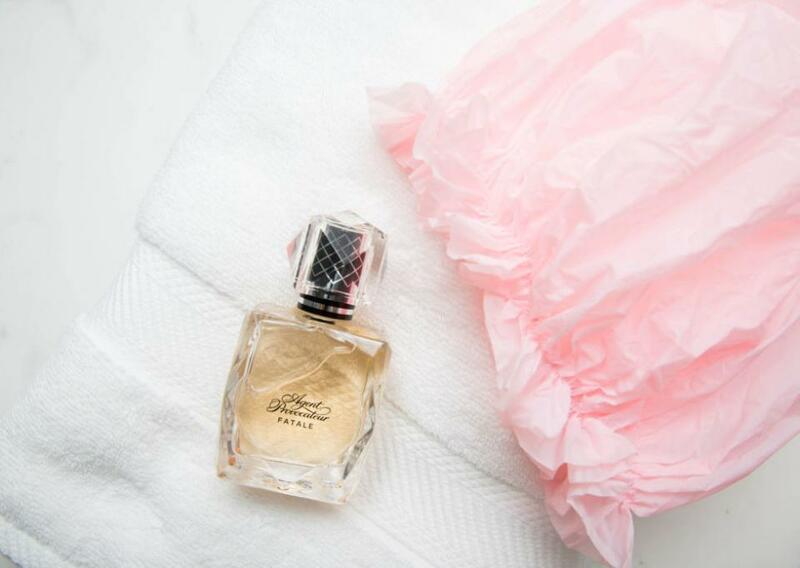 Spray your perfume right after taking a shower and before getting dressed. The moisture on your skin will help lock in the scent. This will also prevent the fragrance from staining delicate clothes or jewelry. 11. 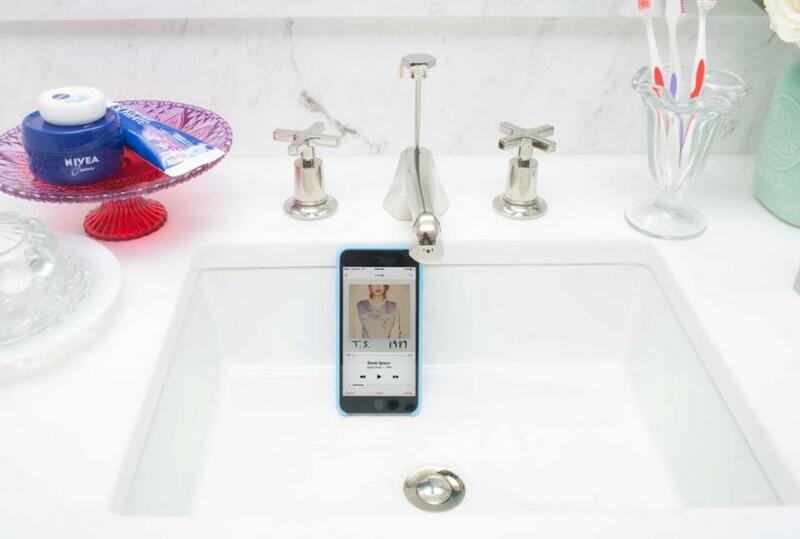 If you have a waterproof phone case, stick your phone in a dry cup or dry sink to play music while you shower. Voilà! The acoustics of the sink will amplify the sound like speakers. 12. Trim the bottom of your curtain liner, so it hangs just below the edge of the bathtub instead of bunching at the bottom, to prevent mildew. One size does not fit all showers. 13. Clogged drains? 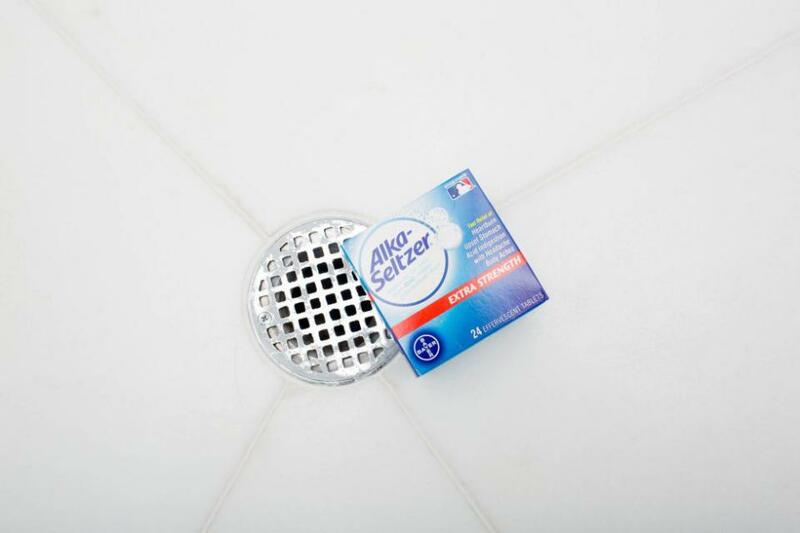 Drop four Alka-Seltzer tablets down the drain followed by a cup of white vinegar to unclog your shower. Wait about 10 minutes and then rinse with hot water.